The National Assembly is the highest representative organ of the people, the highest organ of state power of the Socialist Republic of Viet Nam, the sole organ that has the constitutional and legislative rights. The National Assembly decides the fundamental domestic and foreign policies, the socio-economic tasks, national defense and security issues, the major principles governing the State machinery, the social relations and activities of citizens. The National Assembly exercises the right to supreme supervision of all activities of the State. The National Assembly has the highest authority to make Constitution and Laws. Legal documents promulgated by the National Assembly are the Constitution, codes, laws and resolutions. The National Assembly has three main functions: legislative, deciding the important issues of the country and carrying out the supreme supervision power of all activities of the State. The National Assembly is the sole body empowered to adopt the Constitution and the laws. The National Assembly not only adopts and amends the Constitution and the law, but also decides on the legislative program. After being adopted by the National Assembly, the bill must be signed by the President of the National Assembly. The President of the Republic promulgates the law, which becomes effective no later than 15 days from the date of its adoption. As the highest state authority, the National Assembly make decision on the socio-economic development plans of the country; on the national financial and monetary policies and on the estimates of the national revenue and expenditure plans. It also decides the State budget, approves the national revenue and expenditure balance of account, and levies, amends and abolishes taxes. The National Assembly elects the President of the Republic, the Chairman of the National Assembly and the Prime Minister. It approves all appointments of Ministers upon the recommendation of the Government. The National Assembly has the authority to establish and dissolve ministries and ministerial level agencies of the Government, as well as to establish, merge, divide and adjust the boundaries of the provinces and cities directly under the central authority. It can also establish or dissolve special administrative economic establishments. The State President, as the Head of State, is elected by the National Assembly from among its deputies to represent the Socialist Republic of Viet Nam internally and externally. The Government is the executive organ of the National Assembly, and the supreme state administrative agency of the Socialist Republic of Viet Nam. The Government is in charge of tasks assigned by the State in the fields of politics, socio-economy, national defense, security and external relations; maintains effective operation of the State apparatus from the central to grassroots levels; ensures the respect for, and implementation of the Constitution and laws; promotes the people's sense of mastery in national defense and construction; ensures stability and improves the people's material and spiritual life. The Government is accountable to the National Assembly, the National Assembly's Standing Committee and the President of State. Components of the Government are: Prime Minister, Deputy Prime Ministers, and Ministers and Heads of ministerial-level agencies. The Prime Minister is elected, released from office or dismissed by the National Assembly at the State President's request. The Deputy Prime Ministers are approved by the National Assembly at the Prime Minister's request. They function as the assistants to the Prime Minister and may be authorized by the Prime Minister in the case of the latter's absence. Ministers and heads of the ministerial-level agencies are approved by the National Assembly at the Prime Minister's proposal. They are in charge of State management over their assigned branches or affairs. The Supreme People's Court is the highest judicial organ of Viet Nam. It consists of the Chief Judge, Deputy Chief Judge, jurors and court secretaries. The National Assembly elects and dismisses the Chief Judge of the Supreme People's Court. The State President nominates or dismisses Deputy Chief Judge and judges at the Chief Judge's request. During the hearings, the judges and jurors are independent and only obey the laws. Justice and democracy are ensured by the open hearing process, in which jurors play an essential role, defendants have the right to defend themselves, or to hire lawyers. They also have the right to use their native languages in courts. At each level, there will be a People's Council comprising representatives elected by the people. These representatives oversee the activities of the People's Committee. The People's Committee of each level consists of services, subcommittees, other organs administered by the People's Committees and the People's Committee offices. There are people's courts and people's procuracy at provincial level and district level. - The official name of the country is the Socialist Republic of Viet Nam. - The capital city of Ha Noi is a historic city founded a thousand years ago. The largest city is Ho Chi Minh City which is the economic hub of the country. The other big cities are Hai Phong, Da Nang, Can Tho. - The country is administratively divided into 63 provinces and municipalities. - With the population of more than 89 millions (July 2010), Viet Nam is the 13th largest country in terms of population. The age structure is female 51%, male 49%. The population density is 270/km2. - The official language is Vietnamese which is used for documents and teaching in schools. Languages of minority nations are spoken in several areas of the country. - The whole country of Viet Nam use the time zone GMT+7, which is 5 hours earlier than Italy in summer and 6 hours earlier in winter. Viet Nam does not have daylight-saving time. 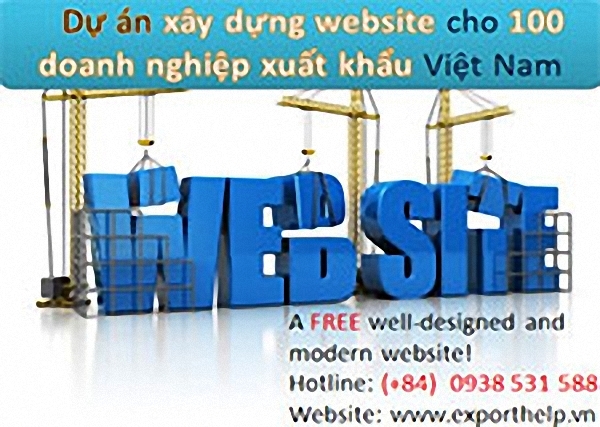 - The Internet top-level domain of the country is “.vn”. - The international calling code is +84.